Here is a 72 Buick 455, engine code WF. 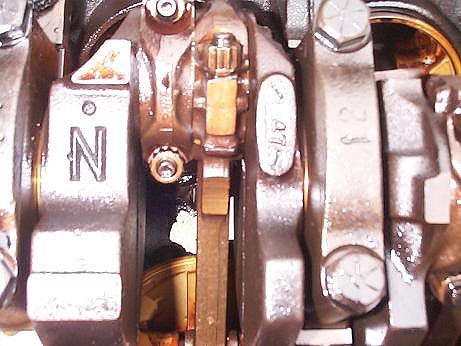 Notice the large "N" on the first counterweight of the crankshaft. All Buick 455 cranks are nodular iron. Some do not have the N because of plant manufacturing origin. I spoke to Dennis Manner (Senior Buick 455 Engineer) and he told me cranks with the N were cast in Flint. Later on, production was moved to a new foundry and the N disappeared. Here is the same area again with the black arrow on the left showing the rod orientation in the block. Each rod has the "nib" on it. When assembling the engine, each pair of rods with have their "nibs" facing each other. Black arrow on right is the finished machine surface for rod and rod cap. This is where you want to stamp the rod with using a hammer and number stamp. 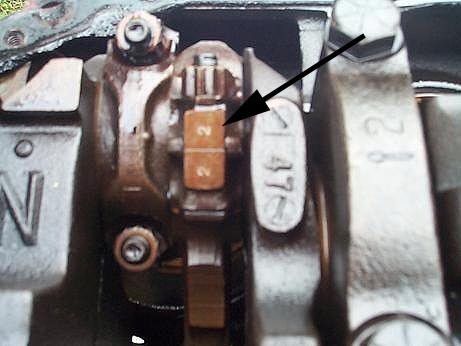 Mark this area that faces the oil pan rail with the correct piston/rod number. In this piture, this is rod #2. Here is the finished result. Now, you can slide out piston/rod #2. 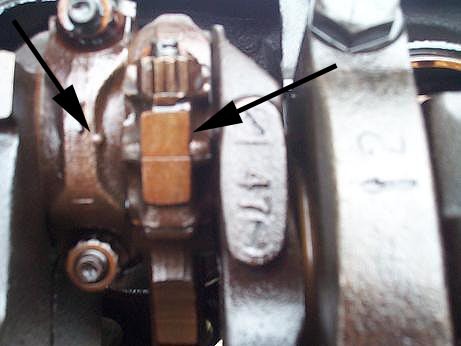 Repeat this process for each piston/rod and you will not have any reassembly problems since each is clearly marked.